An ever-growing collection of animal pictures. 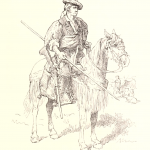 All of these pictures have been rescued from old books that have since gone out of copyright in the United States. 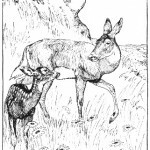 Each of these animal images are free to use however you wish in the U.S.
Information on the original source of each free downloadable image is included for people in other countries to verify the copyright status of the book, magazine, or other periodical the images originally appeared in. 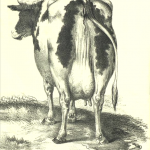 Free camel drawings from the 18th and 19th centuries. All are in the public domain and ready to be downloaded and added to your own projects. 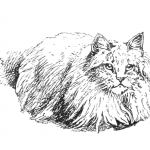 Cat lovers are bound to find a vintage cat drawing that they will fall in love with here. They are copyright free for downloading. Great for crafters. How now brown cow. How serenely you graze. Brown cows. Black cows. White cows. Big ones, little ones and everything in between. 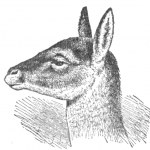 Beautiful deer drawings from the finest artists and illustrators in the world. The world 70+ years ago, anyway, as they are all in the public domain. 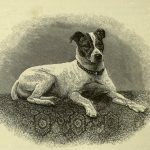 Public domain dog images for scrapbooking, mixed media art and all other creative endeavors. They may not be horses but these smaller members of the equine family often have as much or more personality than their larger cousins. Elephants on parade, elephants standing on their head. Big, colorful elephants and small black and white ones. Free to download. All public domain. One fish, two fish, old fish, new fish - a whole school of them rescued just for you. Great for crafters to use on their own creative works. 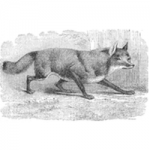 Collection of vintage fox drawings from books that have gone out of copyright. 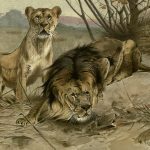 Public domain and copyright free lion drawings from vintage books, magazines and other printed materials. 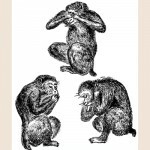 We do not have a barrel full, but we do have a growing collection of monkey images for downloading. 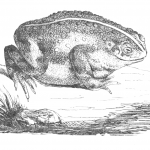 Animal images that feature frogs and toads from vintage publications. 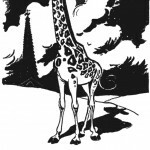 A growing group of public domain giraffe images. 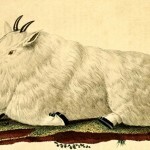 Public domain animal images featuring all sorts of goats. 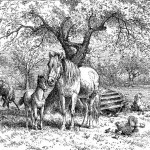 A collection of drawings, painting and illustrations of horses. 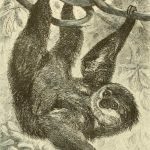 Free vintage images with more than one kind of animal. 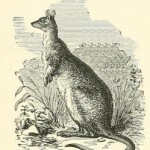 Native to Australia and New Zealand, kangaroos are on display in this vintage animal images category. 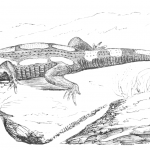 Like lizards? 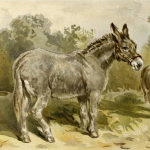 Hopefully, you will like one of our vintage animal drawings of them too. 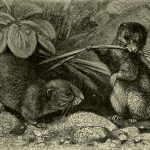 Vintage drawings of some of the smallest mammals - mice and rats. 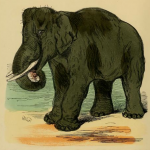 Mixed animal drawings from around the world that are now in the public domain. 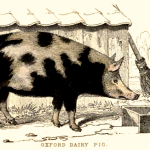 A growing collection of animal images featuring pigs. 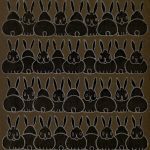 Dozens and dozens of free rabbit images from the collection of vintage animal images from Reusable Art. 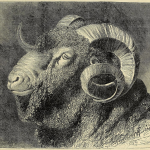 A collection of vintage, public domain sheep and lamb images. Snakes alive! 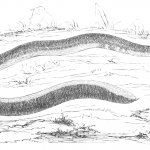 We have free snake drawings here for your creative endeavors. 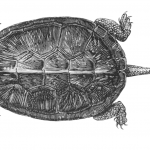 There is just something fascinating about turtles and how they carry their homes on their backs. 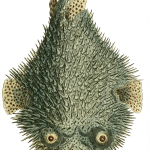 We have drawings of them in all shapes and sizes. 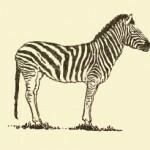 Zebra images and drawings from several centuries. All are in the public domain and free to download.